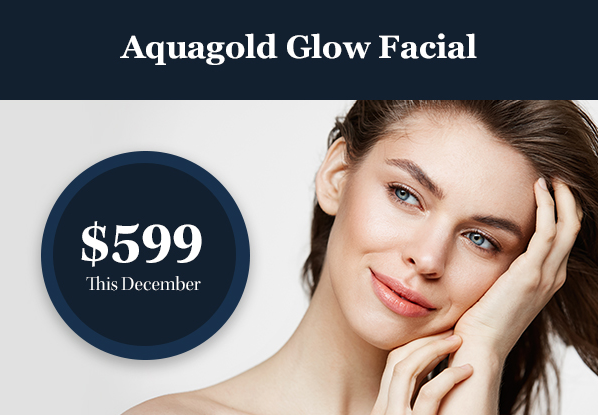 Utilize this relaxing facial for the Holiday Season and be party-ready! Start with Dermaplane to remove the top layer of dead skin and peach fuzz, leaving the skin silky smooth. Next, a light Strawberries and Cream Micropeel will exfoliate and brighten dull skin. 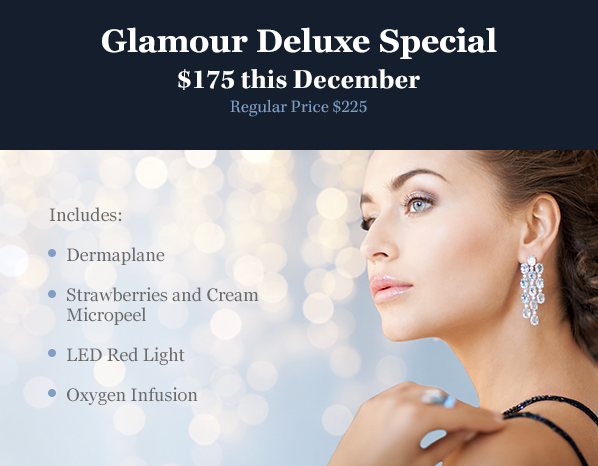 This is followed by LED Red Light to stimulate collagen production. Finally, Oxygen Infusion is applied to hydrate and plump the skin, leaving you radiant and moisturized. *Offer expires December 31st, 2018. AquaGold microneedling treatments apply a custom solution to hydrate the skin, reduce pore size and smooth fine lines. The alternative to facelifts, NovaThreads can fill wrinkles and lift the skin. Additionally, the skin will naturally produce collagen as a result of the polydioxanone (PDO) being absorbed. First 5 to book receive a complimentary upper neck mesh. December pricing $750-$1000 per area, depending on the case. Original price $900-$1,500. 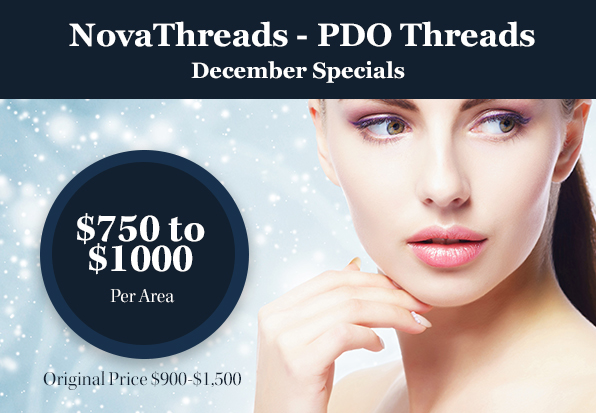 Botox $10.50 per unit – original price $12 per unit. 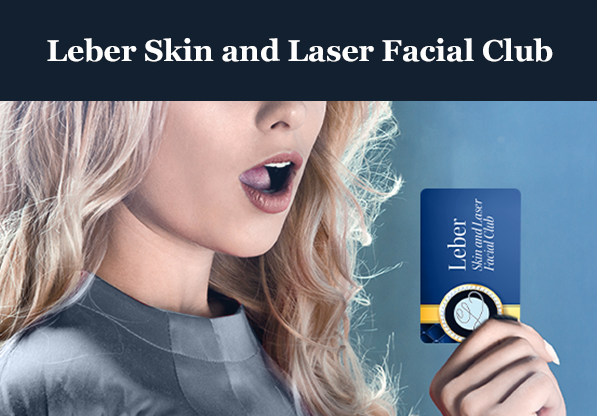 Dysport $3.75 per unit with the purchase of $3.25 per unit Restylane Filler – Dysport original price $4 per unit. 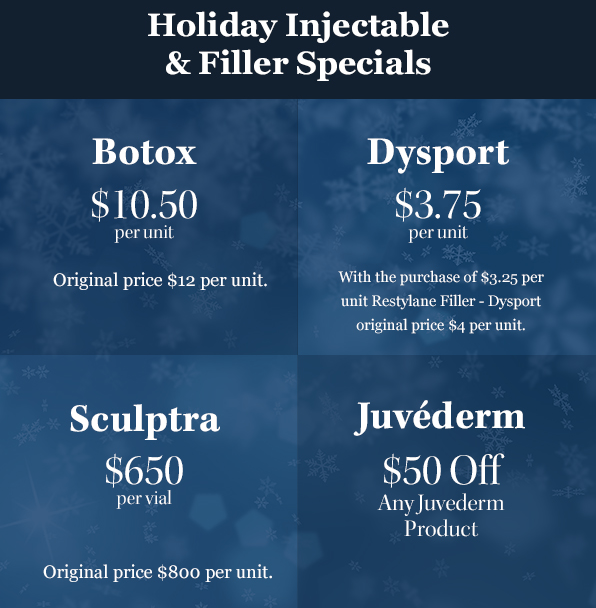 Sculptra $650 per vial – original price $800 per unit.